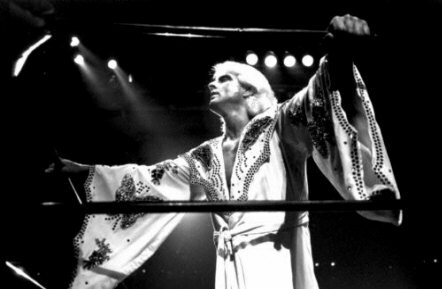 Ric Flair in the ring at the Omni before his title match with Dusty Rhodes, Thanksgiving night, 1985. 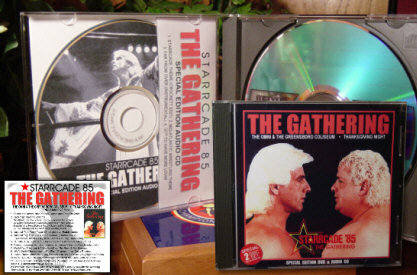 Rare bootleg promotional DVD/CD set that circulated in the early 2000s. 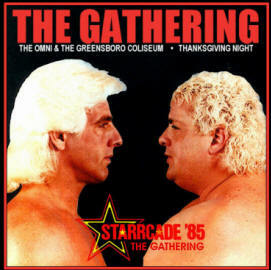 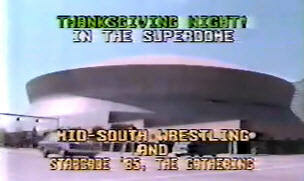 Mid-South Wrestling presented the closed circuit broadcast of Starrcade 85 at the Superdome in New Orleans along with some of their big main events at the time. 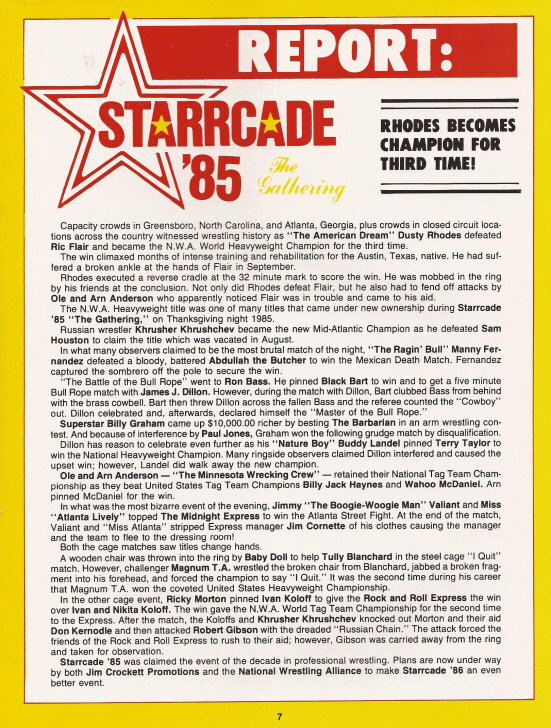 Jim Crockett Promotions magazine report. 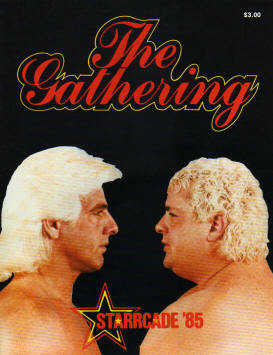 Notice how they incorrectly report that Dusty won the NWA title.